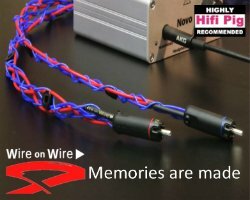 Diesis Audio has announced its participation at the HiFi DeLuxe show in Munich May 15th to May 17th as well as the High-End Munich show which takes place 15th to18th of the same month. 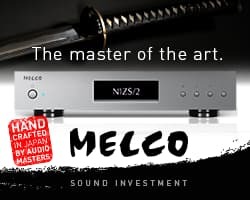 They will have their entire range of speakers (Caput Mundi, Aura, Ludos) and their integrated amp, Evento 20-11 on show and for demo and listening sessions. 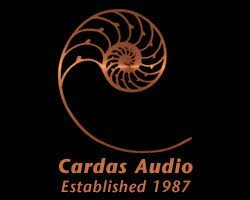 Diesis Audio was founded in Italy in 1993 and after years of development created their first product, the Caput Mundi which was the first loudspeaker in the world with a dipole load in the low frequencies and a coaxial compression driver horn loaded for the midrange and high frequencies. 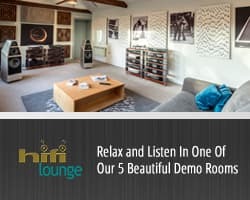 They will be in the Linderhof room (Studio 5) at the HiFi Deluxe show and Hall 3 Stand J 14 at Munich. 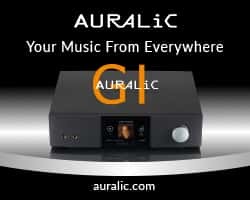 Auris Audio, the Serbian manufacturer of tube amplifiers will be at this years High-End Munich show with their interesting looking range of hifi amplifiers, phono stage, DAC and headphone amplifier. 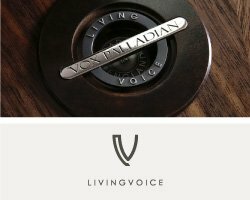 The company’s range looks to be beautifully finished in real wood and leather which certainly stands this brand apart from the usual black or silver box prevalent in most of the home audio kit we get to see. 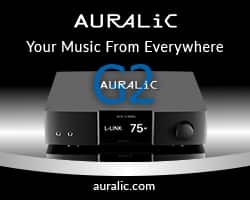 All Auris Audio kit is built in Serbia and at Munich High-End they will be found in Atrium 4.2 room number F221. 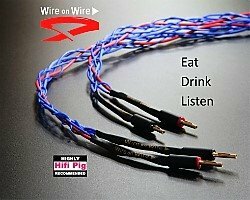 Hifi Pig will certainly be popping in to say hell and bring you lots of pictures of this kit. 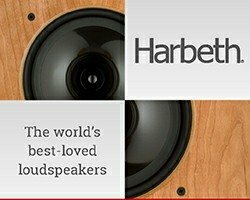 UK loudspeaker manufacturer Harbeth contacted Hifi Pig to give us news that they will be launching something “very exciting” at this years High-End Munich show. 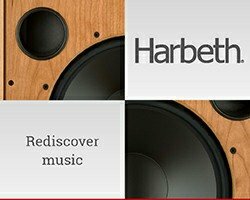 Harbeth don’t release new products all that often and so we were quite enthusiastic to find out more but details are pretty scant at the moment so here is what the company have told us so far. Building on its BBC loudspeaker legacy for the past 35 years, Harbeth has added twenty-first century technology to the ageing BBC designs and brought them right up-to-date to ensure they are fit for a digital era. 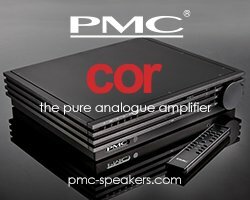 ”Wallowing in nostalgia is all very romantic, but what today’s audiophile and professional audio user needs is a modern-day speaker fit for modern-day use. That’s why Harbeth monitors are the first-choice for so many studio engineers when it comes to critical monitoring”. 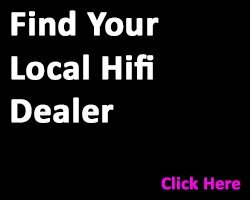 Whatever it is that Harbeth are unveiling at Munich High End 2014 Hifi Pig will be there to bring you the news as it happens. 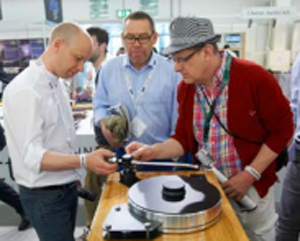 The High End Munich 2014 gives its visitors the broadest selection world-wide of products from the field of high-quality entertainment electronics. 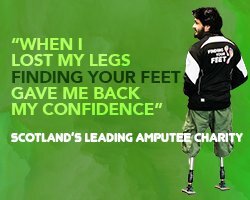 No other event offers the public such an international, wide and varied product spectrum. The visitors can expect to see major brand names, exciting designs and new products. In addition to this, the High End event is not only a trade fair; it is also an experience. Visitors can again expect to discover a whole variety of exclusive and special products and also experience fascinating events. The exhibitor “Tacet” is presenting a concert programme with lengthy music passages. 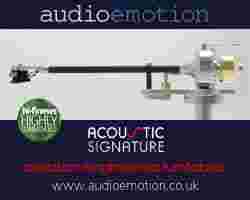 Complete works or whole passages in a fixed programme will be played on particularly fine equipment. The visitor can experience a new type of sound recording presentation here. The focus of the presentation is always a complete work. The visitors will be able to discover details of the score that remain hidden during a concert. 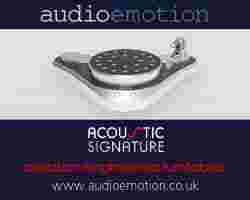 This is to demonstrate the astounding results that are possible with recordings. 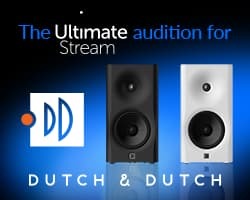 Thomas Gluck from Sweden will host the event with the support of Tacet owner and sound engineer Andreas Spreer. Leading artists are also expected to join them on stage. Backes & Müller is inviting visitors to a live performance of Ro Gebhardt, Burdette Becks and band. The renowned jazz guitarist Ro Gebhardt is regarded as one of the figureheads of the German guitar world is well-known through Europe and the whole world for his unique style and sound. He will be joined by the virtuoso American vocalist and flautist Burdette Becks to play a set consisting of their own works and some sensitive interpretations of individual contemporary songs. The public will be immediately engaged by their rousing performance. The combo is rounded off by Ralf Cetto, a hugely gifted jazz bass player from Bingen am Rhein and Uli Schiffelholz from the hr-Bigband on drums. 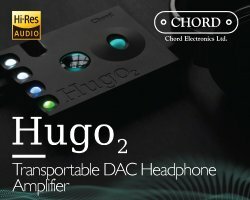 Are analogue recordings better than digital ones? The “stereoplay” editorial team has again come up with a special workshop. In atrium 4, 2nd floor, room F 228, “stereoplay” sound engineer Jürgen Schröder and SAE lecturer Ulli Schiller will be answering the question: Are analogue recordings better than digital ones? As an aspiring guitarist, Ulli Schiller will give his guitar strings a good work-out and the results will be recorded by Jürgen Schröder. 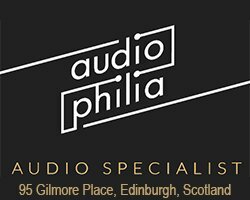 The audience will get a great insight into the world of modern recording – and also into the high resolution digitalisation of analogue recordings. As always the “stereoplay” editorial team are promising a fascinating presentation. 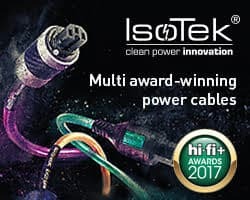 UK rack manufacturer Hi Fi Racks got in touch with Hifi Pig to tell us what they will be getting up to at the up coming High End Munich 2014 that takes place in May. 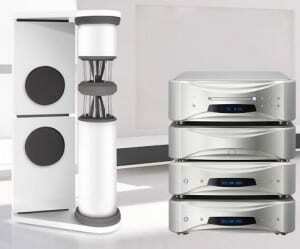 New products from Hi Fi Racks on display at Munich High End 2014 will include the Podium® Slimline XL, Slimline Akorner and the Slimline Akorner XL racks. “This year, we’ll be displaying our products by family, e.g. 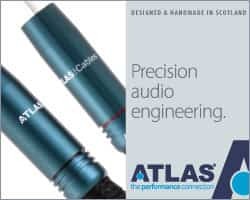 all Podium® Reference products together and all Slimline products together. 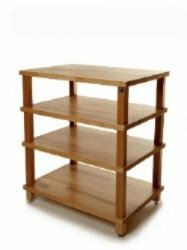 This means visitors to the Hi Fi racks stand will be able to clearly see how our products work together as beautiful pieces of furniture that will grace any room, as well as providing a superb audio visual experience” added the company. 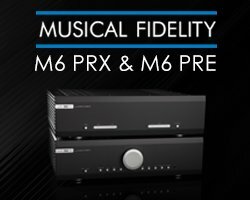 Hi Fi Racks will be at Stand E08 in Hall 3 of MOC Munich. 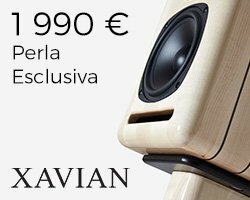 Joining the line-up of Gryphon Audio Designs loudspeakers is the Gryphon Pantheon which will be launched officially at Munich High End 2014. It slots into the Gryphon line-up as the brand’s most compact (relatively speaking) floor-standing model alongside the Pendragon and Trident II and stand-mount Mojo. 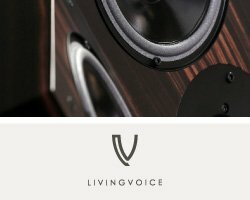 The family resemblance to these monitor systems is strong and readily apparent, as the Pantheon draws heavily on technologies and components developed specifically by and for Gryphon Audio Designs. Like its predecessors, Pantheon “employs proprietary constant phase technologies to ensure that all drivers are in phase at all frequencies at all times, allowing the Gryphon Pantheon to re-create the original acoustic event with holographic realism and ultimate resolution”. Like all Gryphon loudspeakers, the high-frequency range in the Gryphon Pantheon is handled by an Air Motion Transformer (AMT) drive unit with an extremely low-mass folded metal diaphragm. 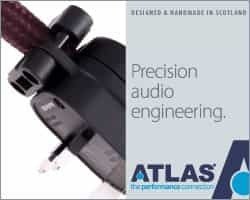 The Pantheon cone drivers are made in Denmark by ScanSpeak to Gryphon’s specifications and custom designed for low Q and minimal dynamic compression. 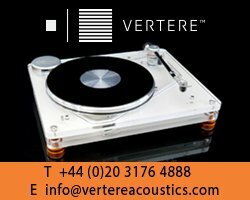 The dual 8” bass drivers and dual 5” midrange units are specially developed with tightly focused, ultra-linear motor systems for maximum force and focus and total control of the motion of the layer-damped fiberglass cones. The fourth order filter network is based exclusively on Duelund, Jensen, Holm, Mundorf components in a layout “carefully calculated to eliminate electromagnetic interaction and fitted to a decoupling platform to prevent vibratio”n. 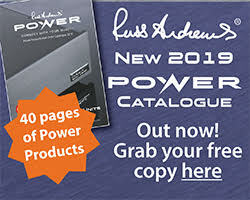 The crossover network is pre-biased by a 28 V battery for constant charge to the electrolytic capacitors in the impedance correction circuit which Gryphon say “Class A operation ensures a smoother, more richly detailed three-dimensional presentation”. 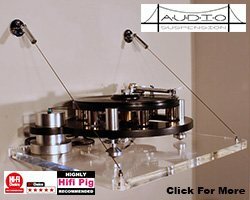 The five-driver, three-way Gryphon Pantheon is housed in a sleek, tall, massively braced sculpted enclosure with precisely contoured modular baffle and driver surrounds and baffle covering carefully selected and applied to effectively address baffle reflections and eliminate diffraction phenomena. Independent baffle elements for each driver break up the pathway through which vibrations would otherwise be transmitted in a single, shared baffle. “The five dedicated Pantheon baffles allow precision time alignment of the individual drivers based on the now classic, subtle Gryphon baffle curvature”. 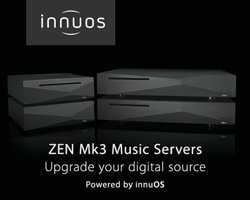 Beneath its exterior, Gryphon Pantheon offers an inert, non-resonant platform for the drive units combining extensive internal bracing and damping material with separate, precision tuned reflex chambers for the dual bass drivers and an isolated, sealed chamber for the twin midrange units. The side panels are a modular construction for simple removal and replacement at any time. 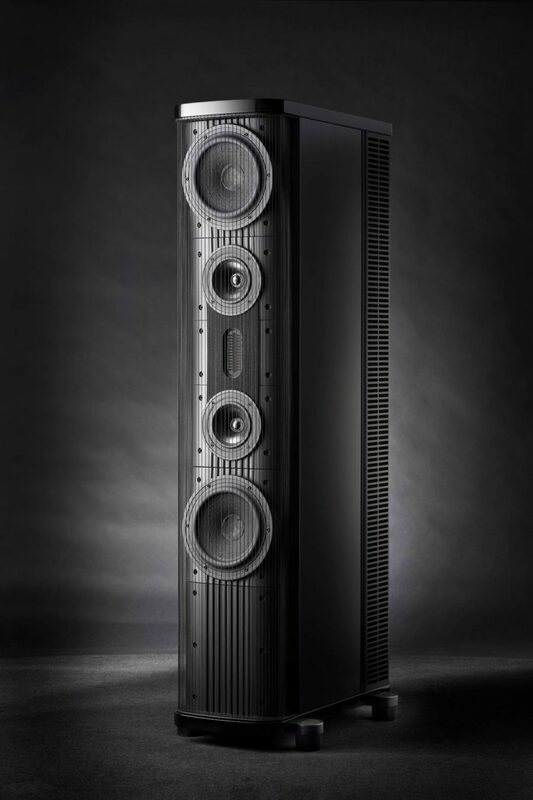 Like every Gryphon product, Gryphon Pantheon is designed by Gryphon founder and CEO Flemming E. Rasmussen and manufactured in Denmark and if our previous experience with Gryphon loudspeakers is anything to go by it’s going to be a great listen! 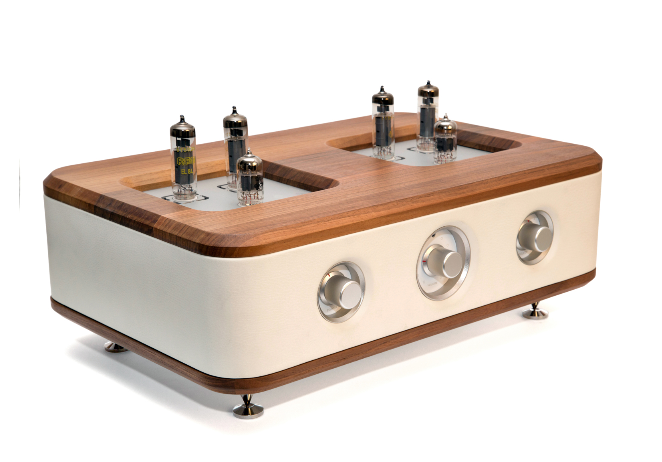 Pantheon will be introduced at the Munich High End Show in May. Price will be €35000 plus local taxes. 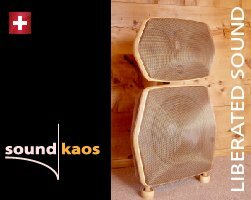 Last year at Munich High End we came across and reported on the unusual looking and definitely quirky (to say the least) Vario brand of loudspeakers. 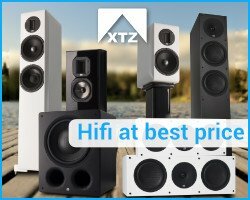 They’re all designed to look like faces in a cartoonish kind of way but they will appeal to many and certainly set them selves apart from the usual boxed loudspeaker design. 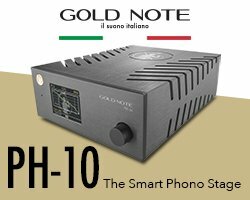 The company have just got in touch with Hifi Pig to tell us about a new loudspeaker that will be launched at Munich High End 2014 and called Angelo. Details are currently sketchy but it looks an interesting four way design and we’ll be there to see it unveiled at the show. 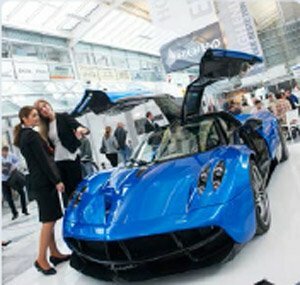 The interest in the High End 2014 in Munich has been unprecedented: “Every day we are receiving new applications from exhibitors worldwide working in all areas of the industry”, said Managing Director Branko Glisovic. Due to the high demand – 434 exhibitors have already registered – all of hall 2 will now be used as presentation and exhibition space in addition to hall 3 and 4, resulting in a 15% double-digit increase in floor space. However, the High End show is by no means focused on attracting simply “more and more exhibitors”. All applications will continue to be approved to ensure that they meet the eligibility criteria and this will ensure that the exhibition continues to attract a high-quality portfolio of exhibitors as well as showcase a wide range of products to visitors, providing them with a comprehensive overview of the market say the organisers of High End 2014. In addition to the strong international contingent, German companies have a particularly strong presence. The exhibition industry is booming – in the age of social media and cloud computing, many firms have realised that there is no substitute for personal contact with potential clients at a fair. 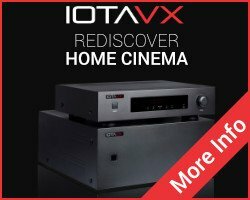 “With its convincing concept, the High End Munich has successfully established itself in the international exhibition market for high-quality home entertainment technology. 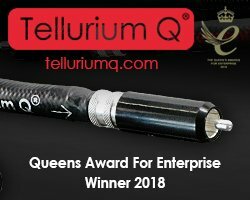 The show is used by many exhibitors as a global platform to showcase their new products for the first time”, explains Kurt Hecker, Chairman of the Executive Board forHigh End society .It is mainly foreign companies from Europe and elsewhere that have been driving growth. 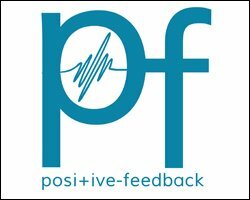 They have realised that the High End Munich event has without doubt become the most important exhibitions in the audio industry. With 258 foreign exhibitors currently expected to attend, the proportion of foreign companies has risen 7% to 60%. 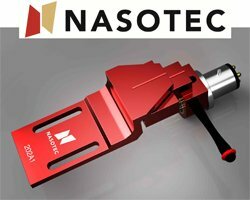 The High End Munich show provides a wide and international range of products and serves as a showcase for the innovative strength of the entire industry. After Germany, the second largest contingent is the US, with 38 firms currently registered. The US is followed by Italy, the UK, Denmark and France. 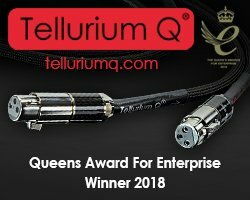 This signifies the ever increasing international significance of the High End Munich show and is a strong acknowledgement of the quality of the event. “We appreciate the trust that the exhibitors place in us – evident from their participation”, said Branko Glisovic, Managing Director of High End Society.With its top-notch display of domestic and international products, fascinating music performances and exciting presentations, daily live music and tasty cuisine, the High End show in Munich will once again be the largest event in the whole industry in 2014. 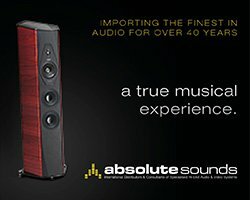 Of course Hifi Pig will be there to bring yu all the news and pictures from this years High End in Munich. 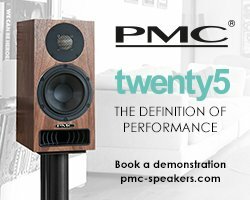 High-End Munich isn’t just about the hifi and the 2014 show aims to offer a great diversion from the main fair. The accompanying musical programme during the high End trade fair has, over the course of the last few years, become an integral part of the event itself, ensuring that visitors enjoy a melodious and pleasurable visit. This year, a host of exciting and professional high end musical performances will once more make for a thoroughly enjoyable atmosphere. Visitors can expect a colourful and varied selection of music each and every day at the MOC, from traditional Alpine folk compositions to jazz, baroque, Viennese classical and contemporary brass chamber music. The performing bands and ensembles for High End Munich 2014 have been selected solely from the “Hochschule für Musik und Theater” in Munich (academy for music and theatre). The “Hochschule für Musik und Theater” stands for exceptional levels of artistic quality and for the ﬁnest education of outstanding young artists. The institution’s music academy has earned its current standing on the basis of its distinguished and globally renowned instructors, thus paving the way for many international careers. By incorporating the academy and its musicians into the trade fair programme, High End Society is supporting young and talented artists in developing their burgeoning careers. It is customary for the event organisers to welcome all their international guests with the perfect tones of traditional Bavarian music. They strive to offer their visitors a homely acoustic realm amid the bustle of the globalised world, which is why they have made it a custom to receive and welcome our High End guests with a Bavarian programme of Alpine folk music. 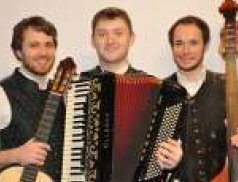 Bavarian folk music is vibrant, memorable, multifaceted, thrilling and challenging because, as with jazz and certain other musical styles, improvisation is very much encouraged. Today, there are so many exceptional young groups – all composing new pieces with the greatest musical ﬂair – and this is why the HIGH END trade fair in Munich can now be seen as a forum for highlighting the talent on offer. Unterbiberger Hofmusik are a musical ensemble from the Munich region who have been mixing the sounds of folk music and jazz since 1992. 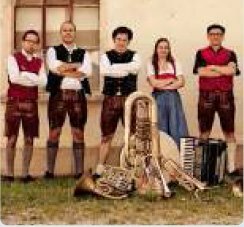 The band are members are all classically trained and together stand as one of the giants of the Bavarian folk music scene. In collaboration with a range of high profile guest musicians, the group constantly seeks the thrill from crossing musical boundaries. Combining musical subtlety with total professionalism and a thorough respect for tradition, the ensemble cultivates an unorthodox combination of traditional brass band music and jazz/world music influences from all corners of the globe. 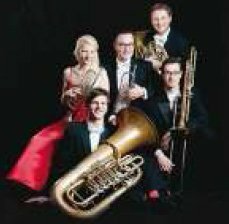 In developing their latest programme for High-End Munich 2014, the group has made a concerted return to their Bavarian roots and only those who listen closely will recognise the global influences in the music. of Bayerischer Rundfunk’s (Bavarian radio) live radio programmes. 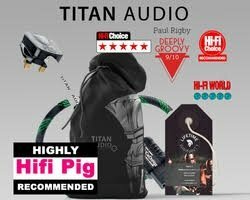 Everyone knows that the Munich High End show is a Mecca for all things audio and hifi and Hifi Pig is sure that the 2014 show will be equally as entertaining and informative on this level as other years. 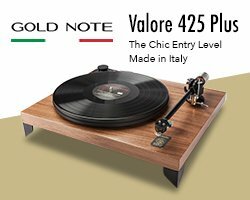 However, never one to stand on its laurels, Munich High End 2014 will also allow visitors to experience some seriously high end cars in addition to all the turntables, amplifiers, loudspeakers etc. Italian sports car manufacturer Pagini will show their car complete with its Sonus Faber system and high end manufacturer Burmester will be presenting a total of five vehicles with exclusive music systems. 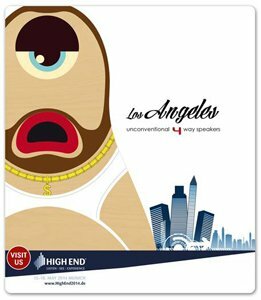 Needless to say Hifi Pig will be at the Munich High End 2014 show to bring you all the news, photographs and more. 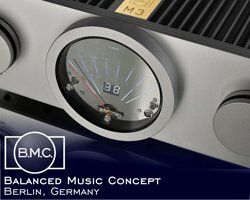 More news from Munich High-End 2014 and this time from the guys at German Physiks whose Unlimited Mk2 loudspeakers we reviewed in 2013. 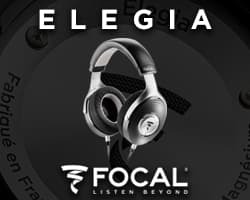 They’ve contacted Hifi Pig to announce that they will be using a full suite of Esoteric’s new flagship Grandioso electronics in their room at the Munich High End Show in May this year. 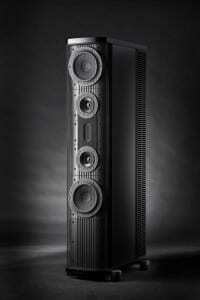 The main loudspeakers will be German Physik’s PQS-302 which have a starting price of €65 000. 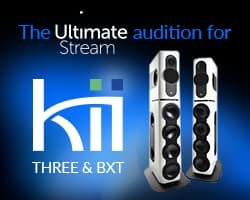 Other loudspeaker models being used will include Borderland Mk IV and Unlimited Mk II. 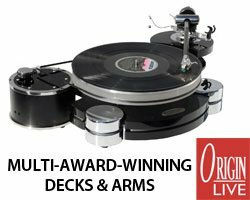 The Esoteric system (with an approximate value of €200 000) at Munich will comprise: Grandioso P-1 SACD/CD-Transport, Grandioso D-1 Mono-D/A-Converters, 2 pairs of Grandioso M-1 monoblock amplifiers, C-02 Pre-Amplifier and a G-01 Master Clock. 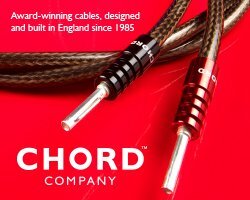 Audio cables will be Esoteric Mexcel. 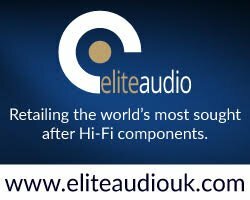 With just 90 days to go the countdown to Munich High-End 2014 has started and needless to say Hifi Pig will be there to bring you all the news and pictures of the show in a series of articles on the site as well as in the Hifi Pig Magazine. News about the what is perhaps the highlight of the European audio and hifi calender is coming thick and fast and we’ll be reporting it all in the run up to the actual show which will happen on 15th to 18th May. Munich High-End has been happening since 1982 and 2014 will be the 33rd event. This year Munich High-End will have well over 300 exhibitors that will present more than 900 brands and it will offer a comprehensive overview of the hifi and audio market. 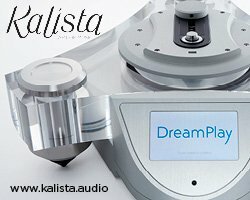 For those that have never visited Munich High-End it’s an absolutely huge exhibition taking place in a space of 20 000 square metres and it is packed with future technologies and more traditional audio technology too. 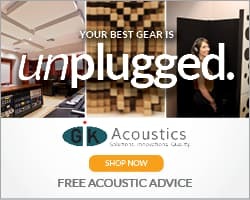 You’ll be able to see everything from record players and valve amplifiers to the latest digital wireless systems, computer audio, audio accessories and headphones. But Munich High-End isn’t just about the hifi and there’s a great program of live music, food… and it also represents a great opportunity to meet up with friends from all over the world. 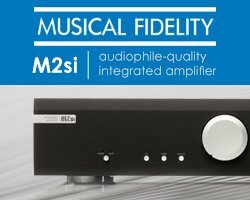 If you’re planning on going to Munich High-End 2014 then Hifi Pig suggests that you take more than a day to cover the show as there is just so much to see, but if you can’t make don’t worry as we’ll be there to bring it all straight to your desktop. You can read our coverage of Munich High-End 2013 here.